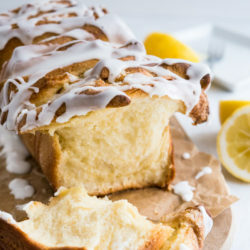 This Lemon Pull Apart Coffee Cake is light and fluffy, tastes like summer and has a perfect balance of sweet and tangy! 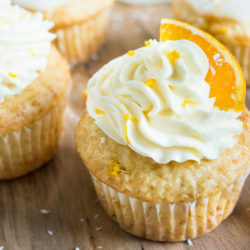 These Coconut Orange Creamsicle Cupcakes are a tropical taste explosion! 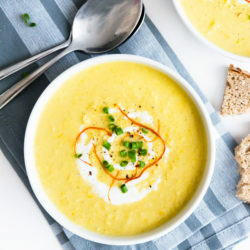 This Curried Cream of Corn Soup is creamy, a little bit spicy, and full of flavor! 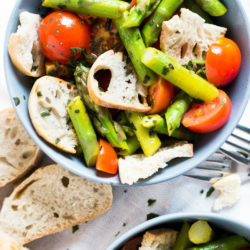 Asparagus Garlic Bread Salad – made with sweet cherry tomatoes, crispy homemade ciabatta bread chips, and green asparagus! 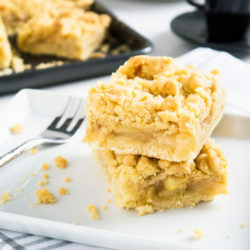 This Apple Streusel Sheet Cake is extra moist and fruity! 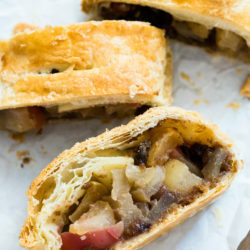 It’s made with fresh apple chunks and apple sauce plus a crumb topping. 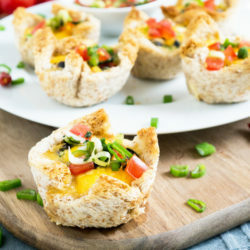 These cheesy Mexican Toast Cups are made in a muffin tin with sandwich bread! 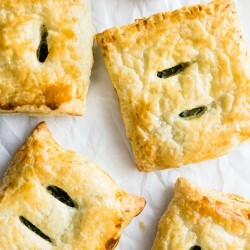 Filled with black beans, homemade salsa, cheese and eggs. 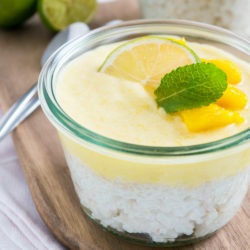 This vegan Breakfast Mango Rice Pudding with Coconut makes a perfect treat in the morning! 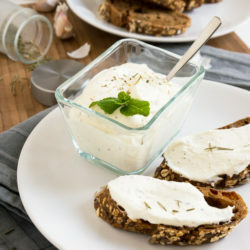 An easy 1-Minute Feta Cheese Dip made with sour cream and garlic. 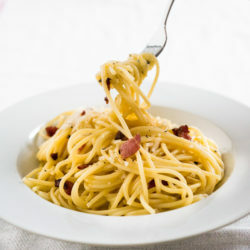 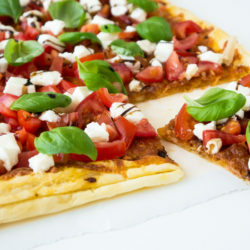 Full of flavor and perfect for guests! 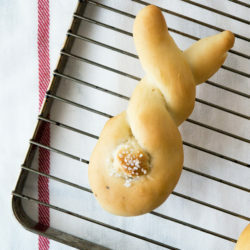 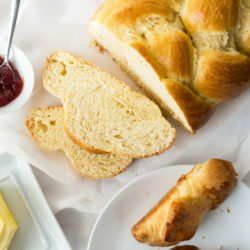 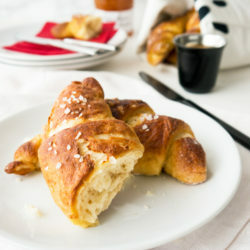 These easy homemade Pretzel Croissants combine the flakiness of a butter croissant with the texture of a pretzel. 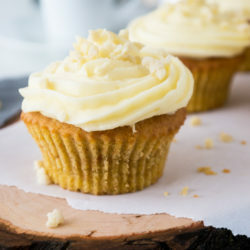 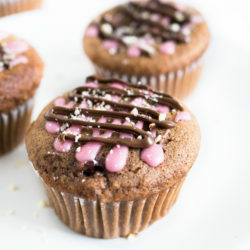 These Swiss Carrot Cake Cupcakes are made with almonds and make the perfect brunch addition! 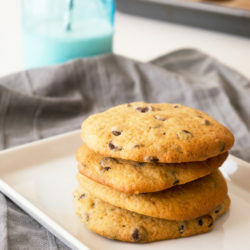 These Spicy Banana Chocolate Cookies are made with ground ginger and make a great quick breakfast! 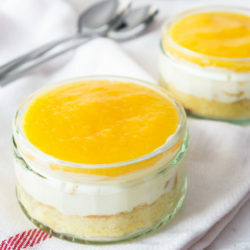 This layered Peach Dessert is refreshing and easy to make! 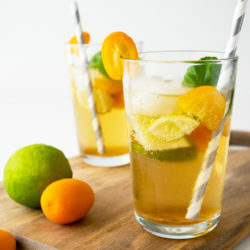 It has three delicious peach infused layers. 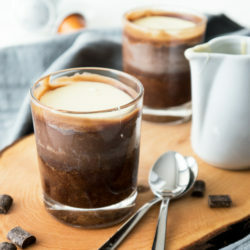 This Copycat Lindor Truffle Chocolate Dessert has three chocolate layers which will melt in your mouth! 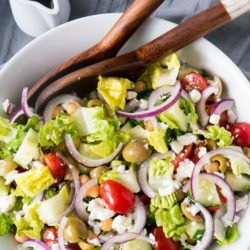 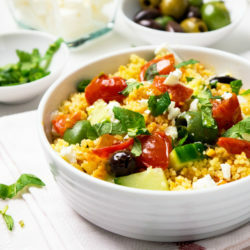 A healthy 20-minute Greek Couscous Salad with feta, tomatoes and mint. 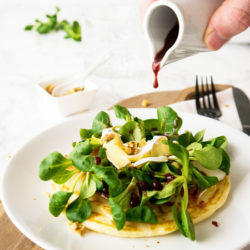 Savoury Pear and Blue Cheese Pancakes drizzled with a cranberry balsamic vinegar dressing. 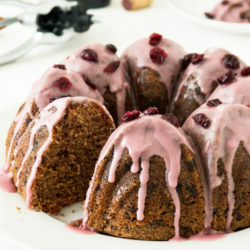 Glazed Cranberry Chocolate Red Wine Cake – It’s moist and fluffy on the inside. 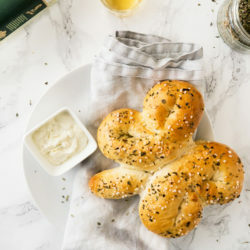 Perfect for the wine lover in your life!